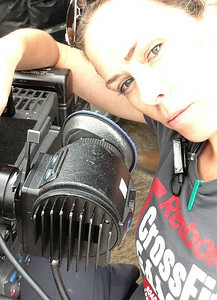 I've been working in Camera in the Film Industry since 1996 making major Motion Pictures, and Television shows. In 2011 I started CrossFit and it wasn't long before my passion for Cinematography dovetailed with my passion for athleticism and a welcome obsession of Photography for Crossfitters was born. I continue to make movies, but also find plenty of time to shoot Fitness Events and Competitions all over the West Coast and beyond. I hope that browsing through my Galleries brings you some inspiration.